DISCLAIMER: Please note that the owner of this site and contributors will not accept the responsibility nor be held responsible for the use or mis-use of any or all of the many techniques, procedures or therapies herein portrayed and related. Use your intuition and good sense when choosing alternative therapies, using an orthodox medical practioner where necessary. Mimulus - for known fears, eg: fear of heights, pain, darkness, poverty, death, being alone, of other people. Also fantastic for timidity and shyness. Cherry Plum - for fear of losing mental and physical control: inclination to uncontrollable rages and impulses, with fear of causing harm to oneself or others, for example suicidal tendencies, or losing ones temper. Aspen - for vague fears and anxieties of unknown origin, a sense of foreboding, apprehension, or impending disaster. Red Chestnut - for excessive fear or over concern for others - especially loved ones, for example, over concern during their illness, automobile trips, etc.. always anticipating that something unfortunate may happen to them. Cerato - for those who doubt their own ability to judge and make decisions. They are constantly seeking others advice and are often misguided. Scleranthus - for those who are indecisive, being unable to decide between two choices, first one seeming right then the other. They may also be subject to energy or mood swings. Gentian -for those easily discouraged, in whom even small delays may cause hesitation, despondency and self-doubt. Gorse - for feelings of despair, hopelessness and futility. Hornbeam - for that Monday-morning feeling of not being able to face the day; for tiredness and a tendency towards procrastination, for those who feel that some part of their bodies or minds need strengthening. Wild Oat - for those dissatisfied in their current career or life style, their difficulty however, is in determining exactly what career to follow. Clematis - for those who tend toward escapism living more in the future than in the present, for lack of concentration, daydreaming, lack of interest in present circumstances, and spaciness. Honeysuckle - for those dwelling too much in the past, reminiscing about the good old days, nostalgia and homesickness. Wild Rose - for those who are apathetic and have resigned themselves to their circumstances, making little effort to improve things or to find joy. Olive - for total mental and physical exhaustion and weariness, for sapped vitality from a long illness or personal ordeal. White Chestnut - for persistent, unwanted thoughts, mental arguments, or preoccupation with some worry or episode. Mustard - for deep gloom that comes on for no apparent reason, bringing sudden melancholy and heavy sadness. Chestnut bud - for those who fail to learn from experience, continually repeating the same patterns and mistakes. Water Violet - for those whose preference is to be alone, seeming aloof, proud, reserved, self-reliant, sometimes superior in attitude. Capable and reliable they will advise, but not get personally involved in others affairs. Impatiens - for those quick in thought and action but often impatient, especially with those who are slower than they, for those who show irritability through lack of patience. Heather - for those talkative persons who constantly seek the companionship of anyone who will listen to their troubles. They are self - absorbed, generally poor listeners, and have difficulty being alone for any length of time. Agrimony - for those not wishing to burden others with their troubles, covering up their suffering with a cheerful facade, they often seek escape from pain and worry through the use of drugs or alcohol. Centaury - for those who have difficulty in saying no, often becoming subservient in their desire to serve others, anxious to please they can be easily exploited, neglecting their own interests. Walnut - for stabilizing emotions during periods of transition, such as teething, puberty, adolescence, and menopause, for breaking past links and adjusting to new beginnings, such as new jobs, adjusting to new residence, cultures or even relationships. Holly - for negative feelings such as envy, jealousy, suspicion, revenge and hatred, showing a need for more love. Larch - for those who, despite being capable, lack self-confidence. Anticipating failure, they often do not make a real effort to succeed. Pine - for those not satisfied with their own efforts, who are self-reproachful and suffer much from guilt and the faults they attach to themselves, feeling they should or could have done better. They are often quick to blame themselves for the mistakes of others. Elm - for those who over extend themselves and become overwhelmed and burdened by their responsibilities. Sweet Chestnut - for those who feel they have reached the limits of their endurance, for dark despair, when the anguish seems to be unbearable. Star of Bethlehem - for mental and emotional stress during and following such traumatic experiences as grief, loss and accidents. Willow - for those who have suffered from some misfortune or circumstance they feel was unjust or unfair. As a result, they become resentful and bitter toward others. Oak - for those who despite illness and adversity never give up. They are brave and determined to overcome all obstacles in order to reach their intended goal. Crab Apple - for feelings of shame, uncleanliness, or fear of contamination, for poor self-image, particularly as it relates to parts of or growths on the body. Will assist in detoxification and the cleansing of wounds, both internal and external. Chicory - for those who are overfull of care and possessive of those close to them, they can be demanding and self-pitying, with a need for others to conform to their ideals. Vervain - for those who have strong opinions, always teaching and philosophizing. They are easily incensed by injustices, and when taken to the extreme can be over enthusiatic, argumentative and over-bearing. Vine - for those who are strong-willed leaders in their own right. However, when carried to extremes, they can become autocratic, dictatorial, ruthless, and dominating. Beech - for those who, while desiring perfection, easily find fault with people and things. Critical and intolerant at times, they may fail to see the good within others, overreacting to small annoyances or others peoples idiosyncrasies. Rock Water - for those who are strict and rigid with themselves, struggling toward some ideal or to set an example for others. This would include strict adherence to a life style or to religious, personal or social disciplines. Rescue Remedy - A combination of Cherry Plum, Clematis, Impatiens, Rock Rose, Star of Betlehem. All purpose emergency composite for effects of anguish, examinations, going to the dentist etc.. Comforting, calming and reassuring to those distressed by startling experiences . 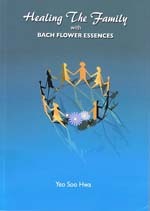 Up to 6 different bach flowers can be taken at one time. See if your local health centre will make them up as a mix, for ease of use. 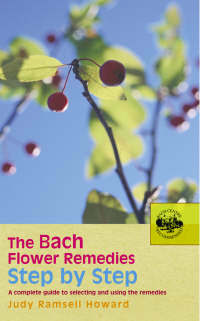 Otherwise click the bach flower remedy links below to go to Amazon.com to have the essences sent to you directly. There are 38 flower remedies that were discovered by the late Dr. Edward Bach in the early 1930's. 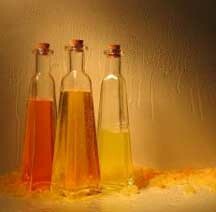 Since then they have been used by many prominent medical doctors, homeopaths and other health care professionals who have reported sucessful treatments with babies, children, adults and animals. 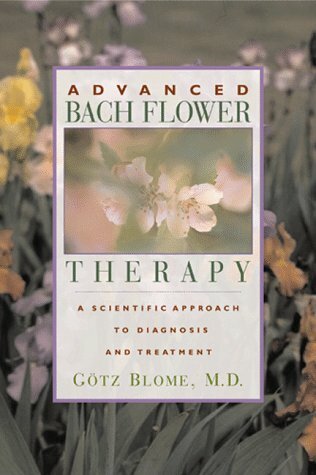 Bach flowers work on our emotional states and tend to work over a period of time on a subtle level, therefore they work alongside Bowen Therapy and other modalities, as they don't interupt the physical healing process that is taking place after a treatment. 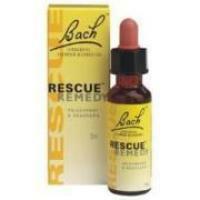 Rescue Remedy is the most well known bach flower. It is used worldwide for shock for humans and by wildlife rescuers to take the shock off injured animals. You can also use it when transplanting plants from one area to the other. Just put a few drops in a water container and water plant after transplanting. Bach flowers are totally safe with absolutely no side effects. 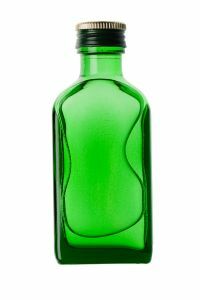 You could take a full bottle and it would be considered as one dose. The recommended dose is 3 drops - 3 times a day. CLICK HERE TO DOWNLOAD YOUR FREE PRINTABLE VERSION OF THE 38 BACH FLOWERS FOR YOUR REFERENCE. Ask your local health shop to mix the following Bach Flower Remedys to help you stop smoking. 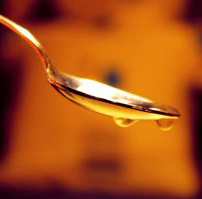 Take 4 drops every half an hour for the first 2 days, then decrease to every 1 hour then next day, then decrease to every 2 hours until you are taking 3 lots a day. Keep taking the bach flowers for several weeks until you feel the confidence to give up the smoking. With this mix it becomes easy to give up cigarettes. You won't get withdrawals. To address the transition from being a smoker, into a non smoker. To give you the confidence to stop smoking. Helps address any fears you may have that could be the cause of your smoking habit. Ask your local health shop to mix the following Bach Flower Remedys to help you get control over how much you eat! Keep taking the bach flowers for several weeks until you feel you are emotionally in control of how much you eat. With this mix it becomes easy to lose weight! To help address the problem of you hiding behind your weight. Sometimes being overweight is a protective mechanism to help us hide from things we don't want to face or do. To address the transition from being someone who is overweight to someone who is not overweight. Helps you change your self destructive behavior patterns so you can choose healthier options. Will allow you to stay in control, even when you feel like eating things youknow you shouldn't! To give you the confidence to lose weight. Helps address any fears you may have that could be the cause of you beingoverweight.